Operational and business intelligence: People counting, queue detection, activity analysis, directional counting, and image enhancement deliver insights that help cities, businesses and other organizations improve operations and customer experiences. It also helps to protect individual privacy, which can help to reduce their risk and liability. Smarter transportation, traffic and parking management: Vehicle counting, traffic analysis, parking space detection and license plate recognition help cities and businesses to improve traffic and parking for residents, commuters and customers. More effective public safety and security: Intrusion detection, left-behind object detection, facial recognition and camera tampering alerts provide a force multiplier for public safety departments to help keep people and property safe. HVA unleashes the potential of video analytics by offering a privacy protection feature that can be used in conjunction with all of its robust insights and alerts. With this concern alleviated, HVA can help customers make better use of their video data by providing critical intelligence that can help to improve operations and better protect people and assets. Cities, airports, transportation systems, campuses, manufacturers and retail environments are all examples of the types of organizations that may benefit from Hitachi’s powerful video analytics solution. For example, airports can use HVA to help enhance safety for travelers and also to detect long queues and optimize staffing at security checkpoints or enhance passport control processes in customs. As a result, passengers can get through more efficiently and spend time shopping, dining or enjoying attractions in their terminals. Retailers can also take advantage of HVA to gain the same level of actionable insight from their brick and mortar properties as they do from their websites. Insight that can help them understand where visitors are coming from, how they spend their time in their stores and what promotions or product placement help to increase sales. And cities can use HVA to improve safety, operational efficiencies and transparency, while providing better public services through metrics—such as foot traffic combined with traffic analysis in downtown areas—that can help local businesses make smarter decisions about how they position their shops and do business. Object Detector: Most video analytics solutions available today only analyze video pixels or provide a simple trip-wire methodology that can lead to high rates of false-positives. In contrast, HVA’s Object Detector technology provides 4-D reconstruction of two-dimensional video images by using particles, perspective, velocity, path deviation and travel distance to improve accuracy and dramatically reduce the number of false-positive incidents—even in the case of poor visibility due to inclement weather. Privacy Protector: Cities, government agencies and private enterprises all share a common concern for the privacy of their constituents and customers when using video security and monitoring technologies. To address this, HVA offers automated and enhanced identity protection. Many technologies today only offer the ability to pixelate faces, which can still reveal personally identifiable information (PII) like clothing or body areas. 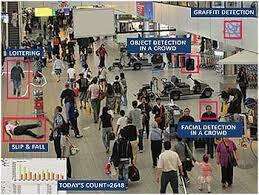 HVA’s Privacy Protector feature automatically detects and protects entire human figures. In addition, it tracks and records all access to video data to help support transparency and help combat misuse. This feature can also be crucial for organizations like hospitals and schools, where the privacy of patients and minors is vital and protecting PII in video data can help to reduce risk and liability. Camera Health Monitor: Provides automated detection of camera-tampering or damage. HVA’s Camera Health Monitor will send an alert if issues arise to ensure valuable video data can be maintained as continuously as possible. HVA is the latest addition to Hitachi’s Smart City and Public Safety solution portfolio and builds on the company’s expansive expertise in IoT and video technologies. HVA integrates with and extends Hitachi Video Management Platform (VMP): a powerful virtualized storage, networking and compute appliance that offers high availability, fault tolerance and simple, cost-effective scalability. It can also be used with Hitachi Visualization Suite, which integrates internet of things (IoT) data from video cameras and other disparate systems and sensors to provide a map-based unified view for enhanced situation awareness. Together, these solutions form a comprehensive video stack designed to help Hitachi’s government and private enterprise customers unlock greater value and insight from video data to improve operational efficiency, enhance customer experiences and increase security. HVA is generally available now from Hitachi and select partners in North and South America, the United Kingdom and all APAC countries, excluding Japan. Hitachi will expand availability to additional EMEA markets later this year. Hitachi Unveils New Video Analytics Software 0 out of 5 based on 0 ratings. 0 user reviews.